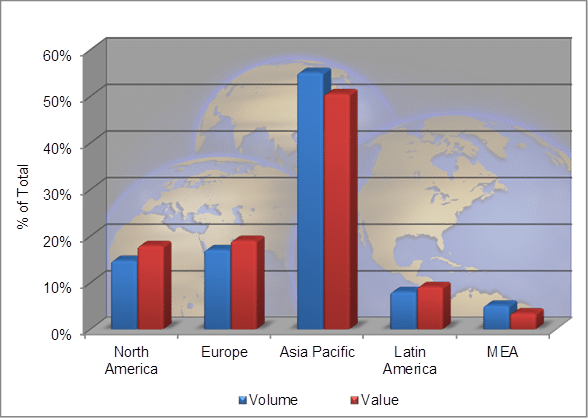 Over the last several years, common issues facing the paint and printing ink industries on a global level have increased significantly. While it is always a constant challenge for each individual country to manage the myriad of domestic regulations, it has become increasingly difficult to interpret the potential impact of foreign issues. In 1992, in an attempt to improve communication and to coordinate industry policy on matters of international concern, the International Paint and Printing Ink Council was formed. IPPIC was established to ensure that the industry, in coordinating the development of industry policy on international issues, fully discussed and analyzed the global implications. In 2005 IPPIC was granted NGO status from the United Nations Economic and Social Council and will highlight international industry issues to the UN and it’s governing body. Members of the IPPIC include the American Coatings Association (ACA), Australian Paint Manufacturers’ Federation (APMF), the Brazilian Paint Manufacturers Association (ABRAFATI), The British Coatings Federation (BCF), the Canadian Paint and Coatings Association (CPCA), the European Council of the Paint, Printing Ink and Artists‘ Colours Industry (CEPE), the China National Coatings Industry Association (CNCIA), the French Paints, Printing Inks, Artist Colours and Adhesives Association(FIPEC), the German Paint Industry Association (VdL), the Japan Paint Manufacturers Association (JPMA), the Mexican Paint and Printing Ink Manufacturers’ Association (ANAFAPYT), the New Zealand Paint Manufacturers Association (NZPMA), the South African Paint Manufacturers Association (SAPMA), and the Association of the Paint Industry in Turkey (BOSAD). One association is appointed as the IPPIC Secretariat for a five year period, with the option for reappointments. It is the role of the Secretariat to ensure timely communication among the participants and to organize and administer the IPPIC meetings. The Secretariat also functions as a communications center, entailing a proactive role to ensure that preparatory work is executed between meetings. The ACA performs the role as Secretariat. Meetings are held once a year, with the meeting site rotating among the various countries. The President of IPPIC chairs the meetings. The IPPIC President is selected by the members and is a recently retired executive from the industry. The President serves a two year term with an option for reappointment. At the inaugural meeting of the IPPIC in August 1992, the council identified common issues of concern and then separated them into two categories — “communication” and “action.” Today, the council continues to apply that process. The communication category includes issues that the IPPIC determined can be managed on an exchange-of-information basis, such as training and education, or air pollution controls. The action category includes issues that have been identified as needing proactive industry initiatives, including sustainability, restrictions on lead use in paint, and post-consumer paint waste management. For each of the action issues, a subgroup monitors and reports on significant activity in those areas at subsequent meetings or more often if necessary. The IPPIC does not set policy, but rather, provides a forum for information exchange and cooperation on the major issues and priorities facing paint and printing ink industries worldwide. The IPPIC acts as a focal point for monitoring and communicating specified international issues; develops recommendations and analyses on selected issues of common interest to the participating organizations and attempts to derive a common position (in conjunction with the governing bodies of the respective participants); coordinates industry positions and communicates with other international organizations; and serves as a forum for open dialogue and exchange between the participating organizations on issues of common interest. IPPIC hosts two major international conferences: The Global Marine Coatings Forum and The Coatings Summit, which are held on alternating years. 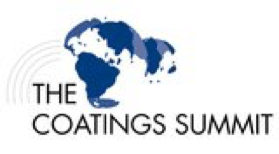 Click here or a copy of the 2019 Coatings Summit Program. Click here to register for the 2019 Coatings Summit. Senior coatings executives reconvene from January 30 – February 01, 2019 for the most prestigious forum of the industry in Paris, France – The Coatings Summit. Hosted by the International Paint and Printing Ink Council (IPPIC) and Vincentz Network, this strategy and networking event will once again see the industry’s global leaders meet and discover major trends, challenges and solutions. Second, the Global Marine Coatings Forum is geared to all industry stakeholders and provides valuable information on the most up-to-date topics regarding marine and protective coatings and their utility for the maritime industry. The next forum is currently being planned. The IPPIC session will feature the work industry members have contributed to establishing effective biofouling management on a global level. In addition to research and development activities to provide products to the global maritime industry, IPPIC has long been a key contributor at the International Maritime Organization (IMO), developing a biofouling management structure and template to help ship owners and operators put in place an effective biofouling management plan (now known as the GloFouling Partnership Project, see http://www.imo.org/en/mediacentre/pressbriefings/pages/20-biofouling.aspx). This committee was formed by IPPIC to enable paint and printing ink manufacturers to share information regarding active issue management, technical or research-oriented programs, and to manage global implementation of consensus on health, safety and environmental management practice. The membership of the Industry Stewardship Committee (ISC) consists of interested paint and/or printing ink associations who are active members of IPPIC. The committee strives to maintain the relevance and applicability of IPPIC efforts to identify and address emerging trends in the management of health, safety and environmental responsibilities. 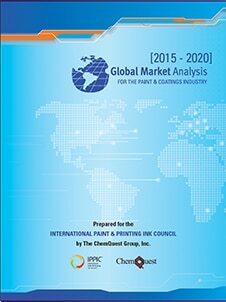 The International Paint and Printing Ink Council’s (IPPIC) expanded fifth edition of the Global Market Analysis for the Paint & Coatings Industry (2015-2020) provides comprehensive market research covering the global paint and coatings industry, addressing topics of relevance to coatings manufacturers, end users, raw materials suppliers, and others interested in the industry. The report covers three primary categories of coatings: Decorative, Original Equipment Manufacturers and Special Purpose, as well as the many sub-segments within those categories. Chapters focus on sector analysis, market trends and drivers, and competitive landscape. Corporate Member Price: Members* of the associations that comprise IPPIC may purchase an electronic version (digital download) of this invaluable resource at a special members’ only price of $2,750 U.S. Global License Price: Corporate Members will also be afforded the opportunity to purchase a “global license” for $10,000 U.S. A global license entitles a purchaser to place an electronic copy of the study on a corporate intranet server on which employees of the licensee can view the study. Such a license would not entitle the licensee to place the study on an extranet server or web page where it would be accessible to persons not employed by the licensee. 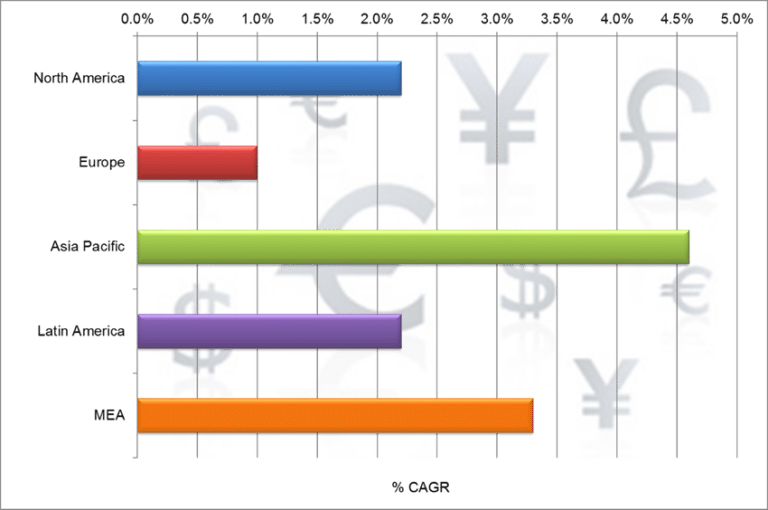 List Price: An electronic version (digital download) of this document may be purchased at a price of $4,500 U.S. per copy by companies or persons who are not members of any of the IPPIC trade associations. * Members of IPPIC include the American Coatings Association (ACA), Australian Paint Manufacturers’ Federation (APMF), the Brazilian Paint Manufacturers’ Association (ABRAFATI), The British Coatings Federation (BCF), the Canadian Paint and Coatings Association (CPCA), the China National Coatings Industry Association (CNCIA), the European Council of the Paint, Printing Ink and Artists‘ Colours Industry (CEPE), the French Paints, Printing Inks, Artist Colours and Adhesives Association (FIPEC), the German Paint and Printing Ink Association (VdL), the Indian Paint Association (IPA), the Japan Paint Manufacturers Association (JPMA), the Mexican Paint and Printing Ink Manufacturers’ Association (ANAFAPYT), the South African Paint Manufacturers Association (SAPMA), the New Zealand Paint Manufacturers Federation (NZPMF), and the Association of the Paint Industry in Turkey (BOSAD). For more information: please contact ACA’s Steve Sides at (202) 462-6272. Source: The ChemQuest Group, Inc.
For over two decades IPPIC has worked to improve communication and coordinate policy on matters of international concern to the paint and printing inks industry. The council provides a forum for exchange and cooperation on major issues and priorities facing the industry, and has established itself as a global voice for the industry.